I post my reviews on Amazon as well! If you found this recommendation helpful, let me know by clicking here. To find other book reviews written by Lesley, simply Click Here. 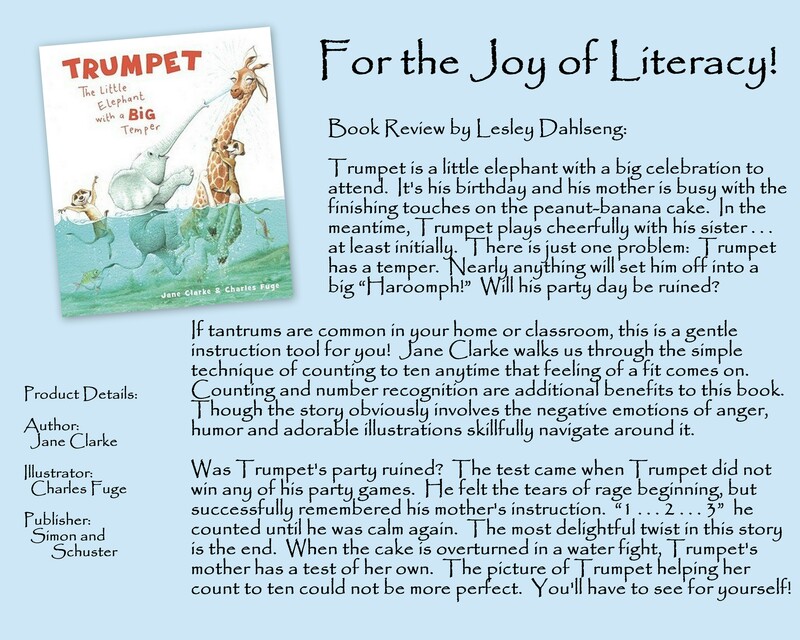 Categories: Lesley's Book Review | Tags: Character Development Books, Children's Book Review, Elephant | Permalink.